MIB School of Management based in Trieste, Italy, on the sea and just 2 hours from Venice, has been an international center of higher managerial education since 1988, founded on the initiative of high profile companies such as Generali, Allianz, illycaffè, Fincantieri and members of the academic world. MIB is a non-profit organization, offering MBA degrees, Specialized Master programs in Insurance and Risk Management, Corporate Master courses and Executive Certificate programs in Italy and abroad, all led by an international faculty of trainers, managers , businessmen and professionals. Every year, the school trains young talents from all over the world (15-20 countries are represented in the classrooms every year – 81 countries since 2003), including managers and businessmen. Several Merit Scholarships are available every year for the best candidates. 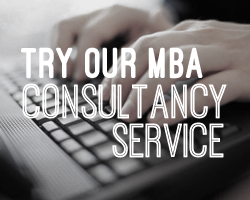 at international level by Association of MBAs (AMBA), based in London, which operates in more than 80 countries around the world. Only 2% of the Business Schools in the world possess this notable accreditation. MIB School of Management has seven Business School partners around the world: China, France, Russia, Spain, Slovenia, USA. These centers of excellence work closely with MIB School on international cooperation projects such as faculty and student exchange programs, which run throughout the academic year. More than 50 companies collaborate with the School for internship activities, recruiting, training, consultancy and research, finding in MIB School of Management a partner able to design and implement tailor-made programs. The Alumni Association of the School, founded in 2005, boasts over 2,500 alumni divided into 16 geographical areas around the globe. Such connections offer students great networking and growth opportunities. Fill out your details to get in touch with MIB School of Management and find out more about their programs.